Are you tired of not being able to find work in an accounting firm? Looking for an opportunity to get on-the-job training to progress your accounting career? At Tax Accounting Adelaide can provide you your kick-start with a traineeship. Take the action to guide you into getting the right training and practical internship experience to get yourself into your accounting career roles faster. Do not let your hard work and studies slip away or get any older. Contact us for more information on the trainee-ship now on 83374460. Send us this info now and get started here. Your confidentiality is assured. Download this link to find out more. Experts in Accounting Training to get you into an accounting firm fast. Find out how others just like you have taken this step and progressed into their accounting firm career. We have run this program since 2015, having 7 interns obtain accounting careers. 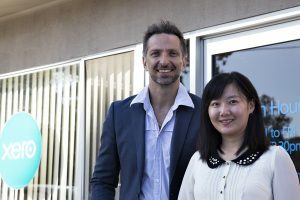 Two of our employees Maria Liu and Angela Xu have gone on to become full time employees of our firm. Here are some of our success stories. Thank you for the internship in your firm. The internship was great. The most important reason of my current career is I had an internship at Tax Accounting Adelaide. During that time, I learned how we process in an accounting firm. What are we doing in an accounting firm every working day. I learned how to use ato potal, accounting softwares xero which is an absolutely beautiful software for our accounting record bookkeeping and financials. I learned how we prepare financial statements, how to do a tax return and more. The interview practices and tips were very helpful. I love this program. Both you and Angela were very patient, thank you for teaching me these. The program gradually guided me to possess the skills and expertise needed at workplace. Record of day-to-day transactions, reconciliation of bank accounts, adjustment of general ledgers including GST accounts clearing were learned during the program. At the same time, I obtained extensive experience in doing all types of entities' tax returns. Transferring between different accounting software enabled me to have more flexibility in my career. Thanks Tax Accounting Adelaide and the friendly team. Really appreciate that I could start my career here. Left on maternity leave but worked full time in our firm for two years. 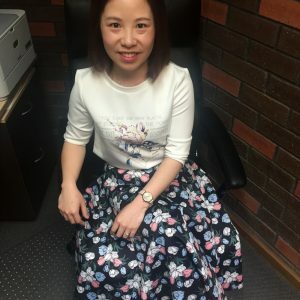 I walked in to Tax Accounting Adelaide when I was tired and frustrated looking for work and in becoming a permanent resident. 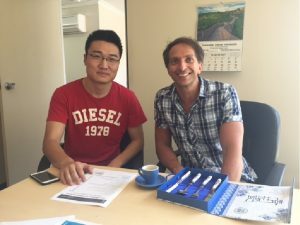 I commenced working as an intern and rapidly learned and enjoyed the work as a tax accountant at Tax Accounting Adelaide. Romeo was a great and patient trainer and I soon became full time staff. I worked for the firm for over two years until leaving to start my family. The training program is a genuine way to improve your chances of getting your first accoutning graduate job. Intern graduate Aug 2017 testimonial. Just wanted to tell you a big thank you.I have sincerely enjoyed being a part of The Tax Accounting Adelaide team. Given your very busy schedule, I know that it was not always easy or convenient to work with me, and yet you gave so very generously your time, knowledge and patience. I would like to give a special thanks to Maria and Joe for their expert guidance. They were very friendly,approachable and were always prompt to answer my queries. They also inspired me with their experiences. As a result of their mentoring I have much deeper understanding of taxation. I have learnt a great deal from you and your involvement has also helped me in variety of ways. I truly appreciate and value everything I have learnt from Tax Accounting Adelaide. It will forever remain a major contributor behind my success and achievement. I would be highly obliged given a chance for any causal roles. Thank you once again for your time, assistance and commitment. My gratitude for your contribution to my future success is immeasurable. Call now for an appointment at our office on 08 8337 4460 to further discuss the traineeship and kick start your accounting graduate career.